I met Sandra and Susy some years ago and have made a number of significant pieces for them. So when they asked me to create their diamond wedding bands I was so honoured. 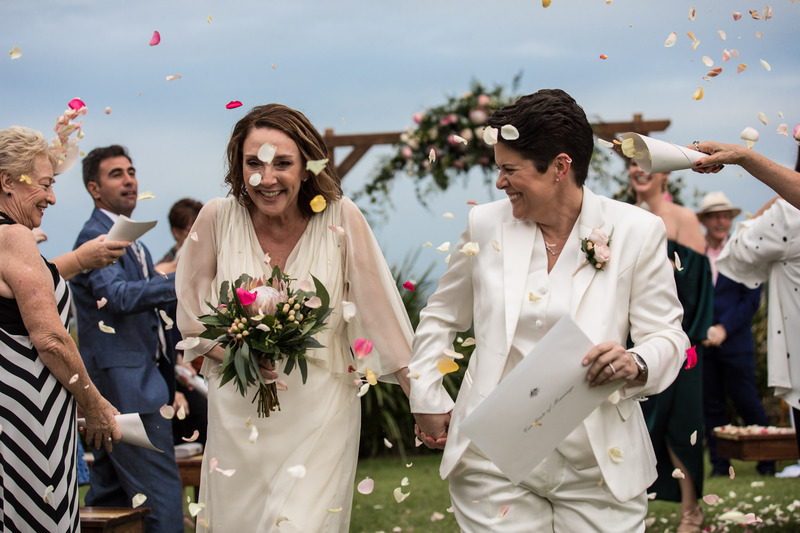 Sandra and Susy share with us some of the highlights of their day, and the jewels they selected to wear when they declared their love forever. We met some 27 year ago, we were working in the same hotel...we were friends and our love grew from there and we have been together for 23 years now. Still happily in love more each day. What a milestone to legally marry! Can you tell us what that means to the both of you? It means so much to us to finally have our love recognised and to be able to legally marry in the country we call home, in front of close family and friends, in the part of Australia where it all began! Where did you get married and why did you pick this location? 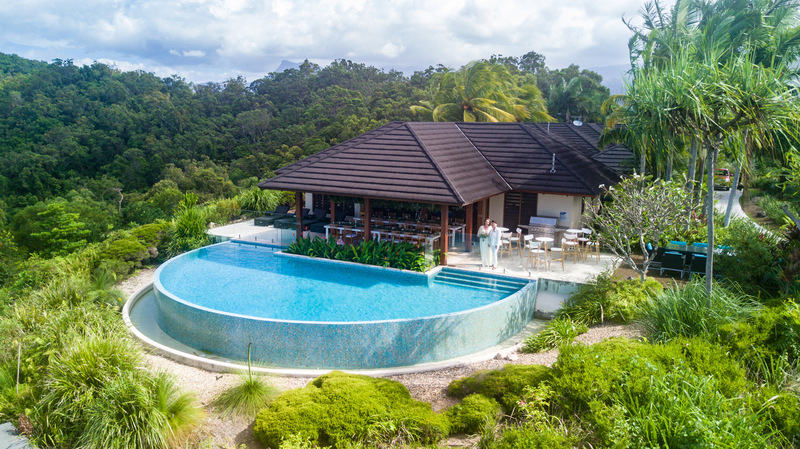 We choose a beautiful residence just outside of Port Douglas called Mali Mali, where the rainforest meets the reef in Tropical North Queensland. The destination was important both of us, as this is where we met and our love story began. It was perfect; it was everything we hoped for and so much more. Tell us about the planning and preparation? Was it challenging arranging it from Singapore? 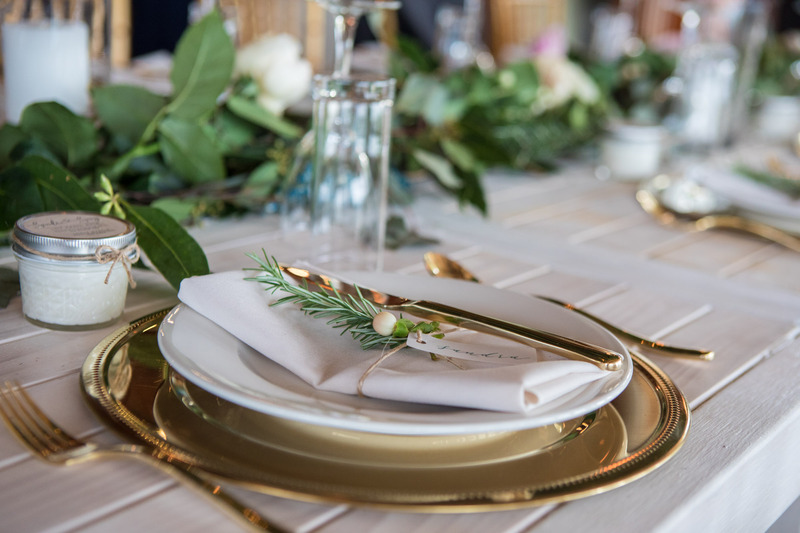 Once we booked Mali Mali, The Personal Chef Chriso and Wayne Rees, the celebrant (which were our non negotiables), we quickly realised we needed some expert support on the ground and were introduced to Bec from Dragonfly Weddings. She understood our vision for simplicity and elegance and was able to pull it all together with minimal fuss. Any special details planned for the ceremony or reception afterwards? We wrote the words to our ceremony as well as our own vows, we really wanted the entire day to reflect our love for each other and our love for our daughter Amber, and share our 23 year journey with a very intimate circle of family & friends. What made you choose the full diamond Belle eternity bands? It’s beauty! We wanted to have the same rings and the Belle Eternity Band was something that we both loved. They are just perfect - no beginning and no end! Was there any sentimental jewellery pieces you wore on the day? What pieces did you wear? On the wedding day we exchanged gifts, Claire made some stunning personalised pieces. She created a custom made love arrow necklace for Susy, which is just stunning, simple in design but means so much more. Susy had one of Claire's Diamond Tennis Bracelet made for Sandra, the perfect gift...simply gorgeous. Amber worked with Claire and together they created a matching Infinity anklet for Susy and bracelet for Sandra with a lovely sapphire for the something blue. In addition to 'something new' and 'something blue' we also had the traditional 'something old' pieces; Susy carried her dad's cufflinks which he had worn to his wedding and Sandra wore an antique art deco diamond ring which was her Grandmothers. What was a highlight from the day/ and or night? The entire day was perfect! Filled with love and laughter and made more special as we were able to share it with our daughter Amber, who gave us both away, with both our Mum's close, and close family & special friends. The stunning backdrop: Mali Mali residence in Port Douglas. Susy and Sandra's daughter Amber walked them both down the aisle. Belle Diamond Eternity Ring Full Band in White Gold. Diamond 1.00 Carat Tennis Bracelet.